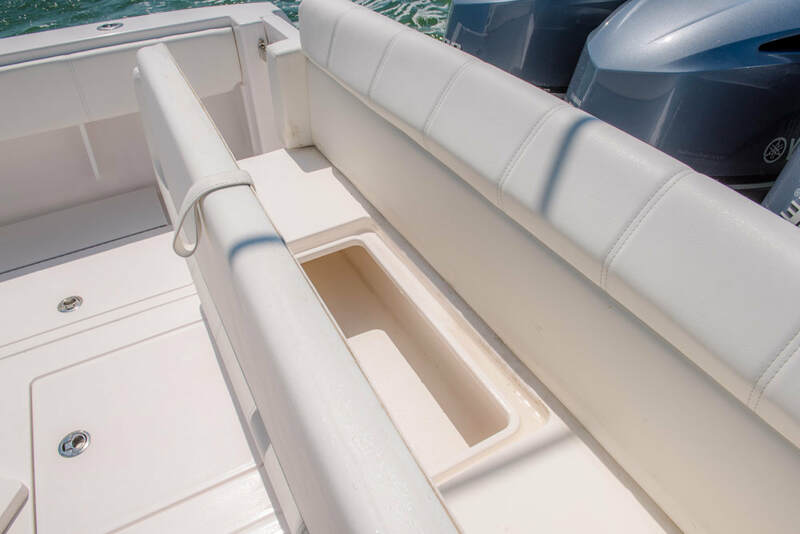 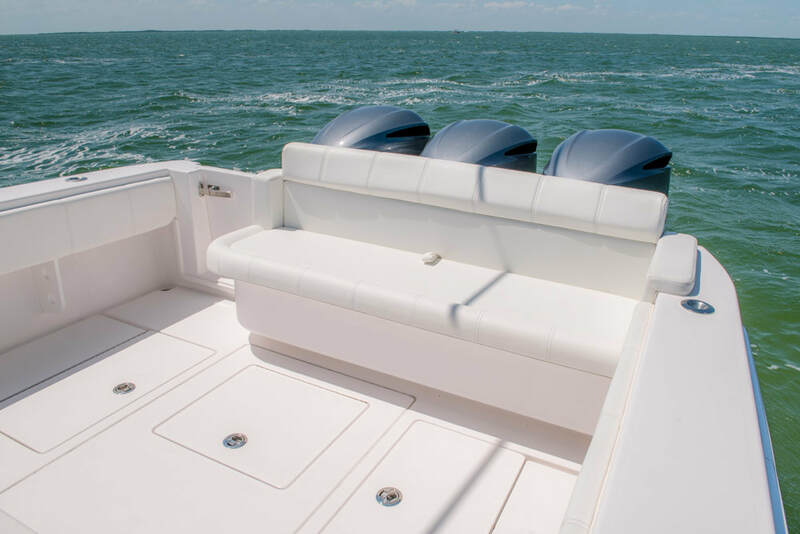 Very well equipped with latest options from Contender and some very nice Custom seating. 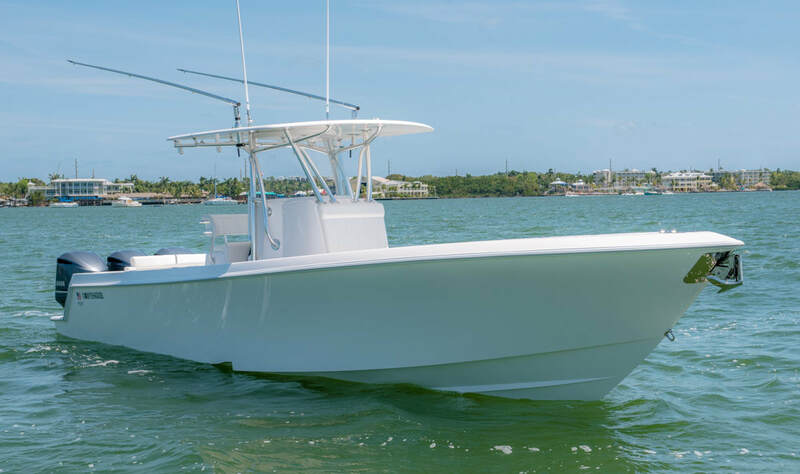 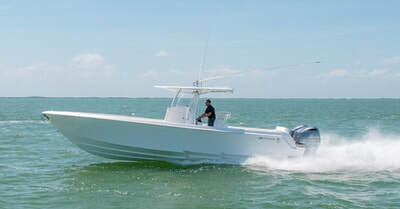 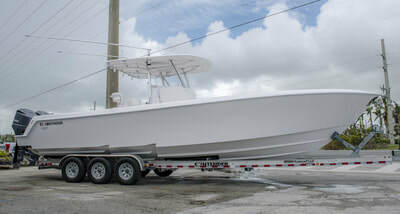 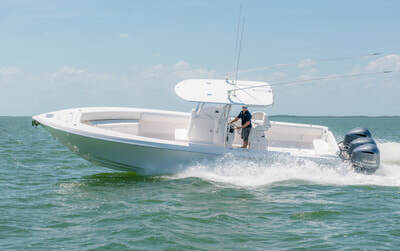 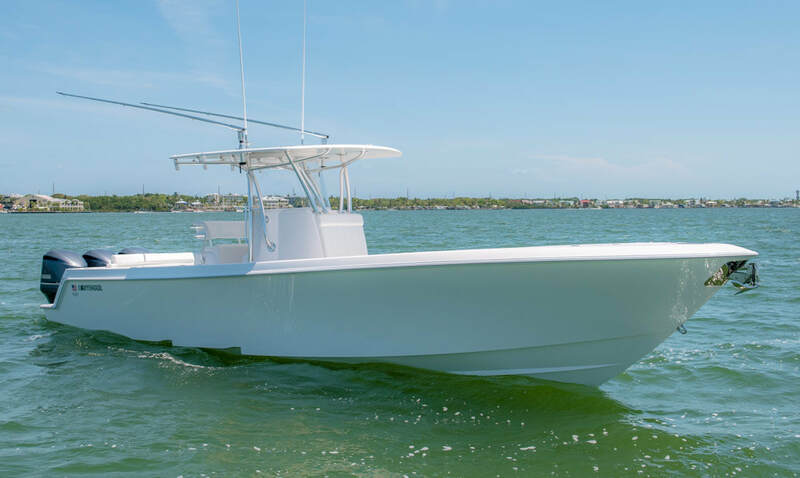 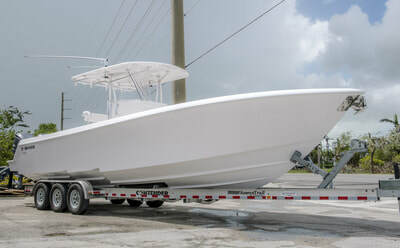 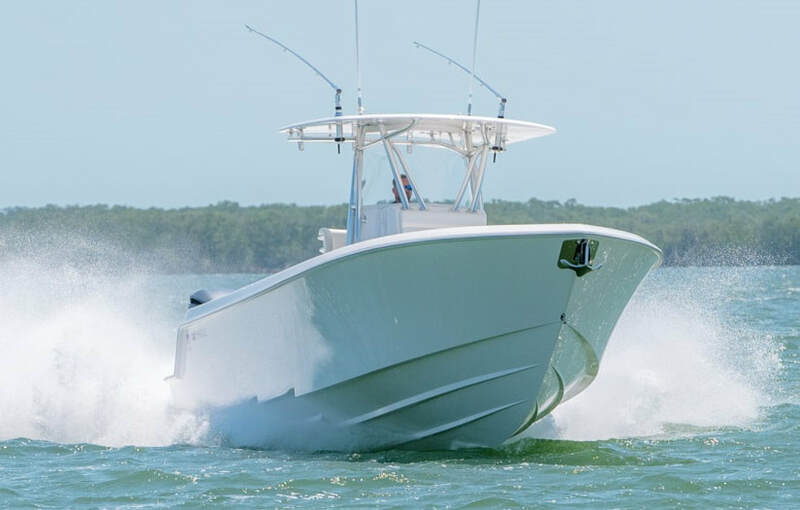 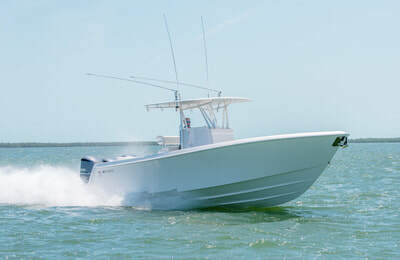 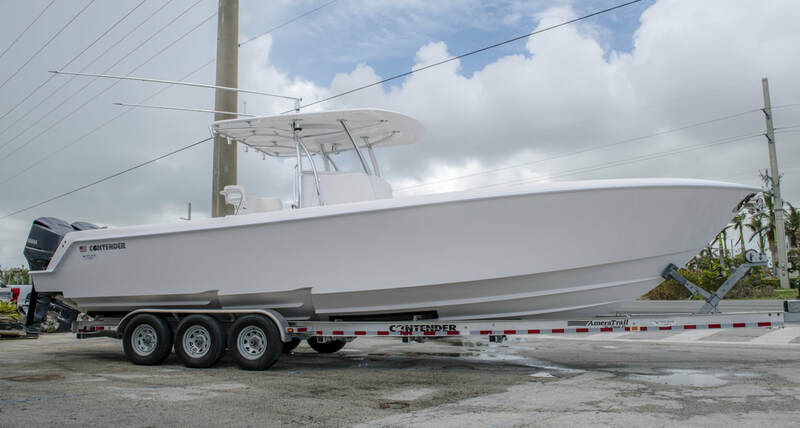 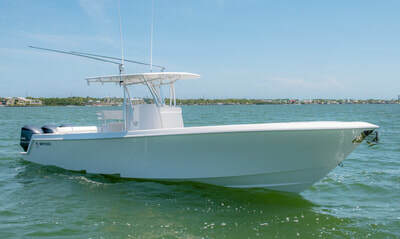 Not just your typical tournament fishing equipped Contender but the perfect all around boat. 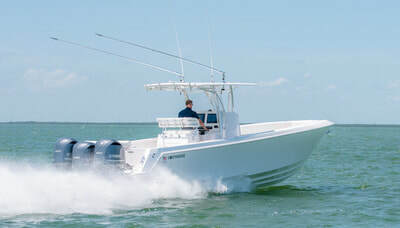 Fish hard and still take all your friends and family cruising. This particular lay out would make a great tender to a Yacht in the Bahamas. 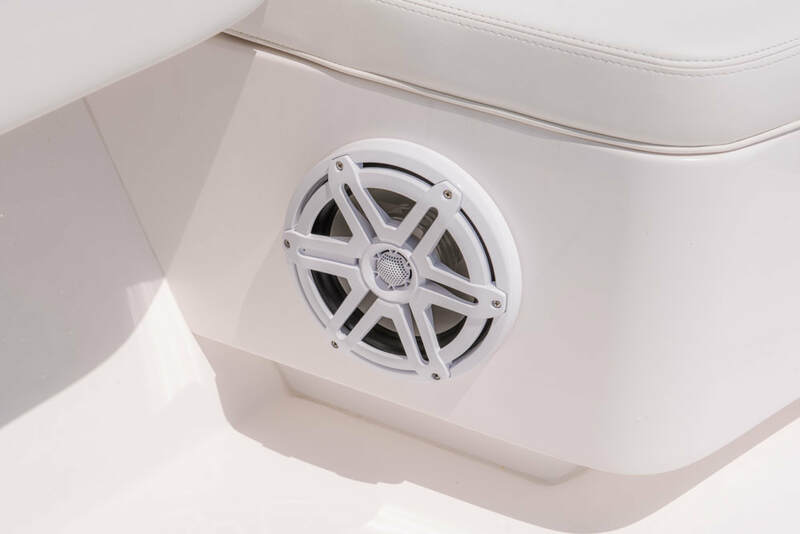 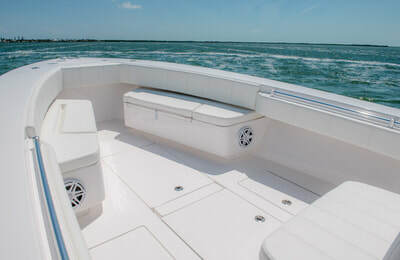 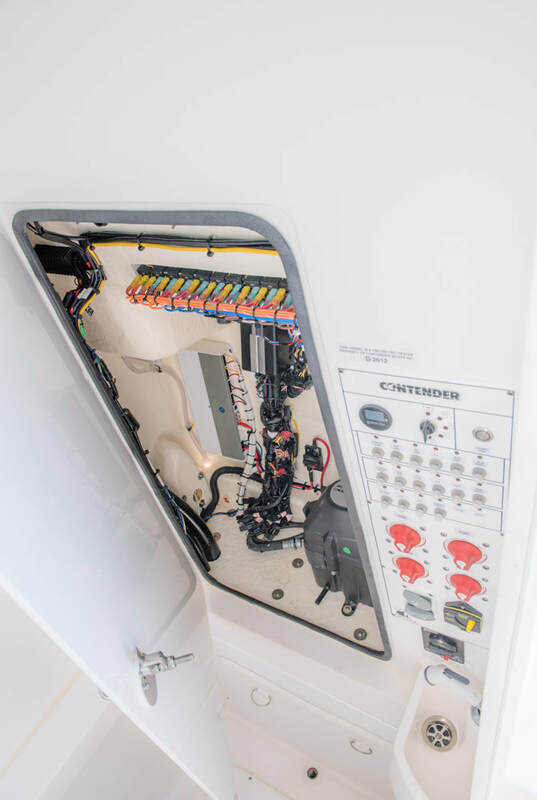 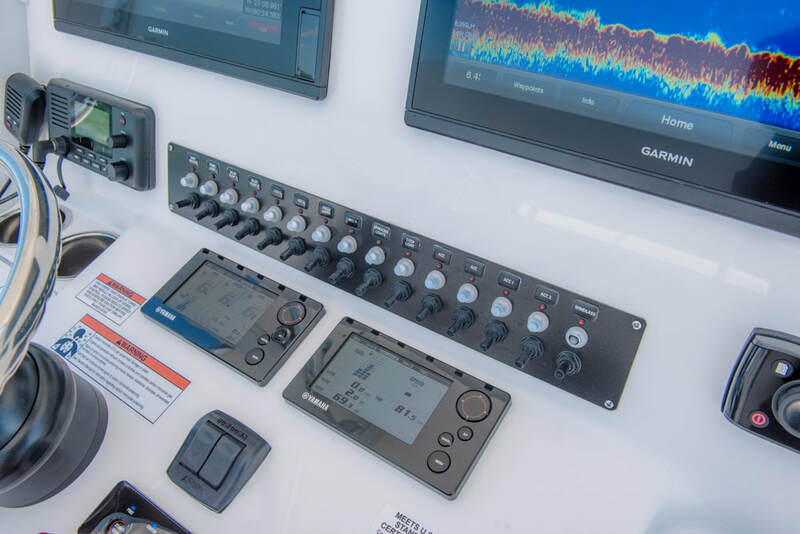 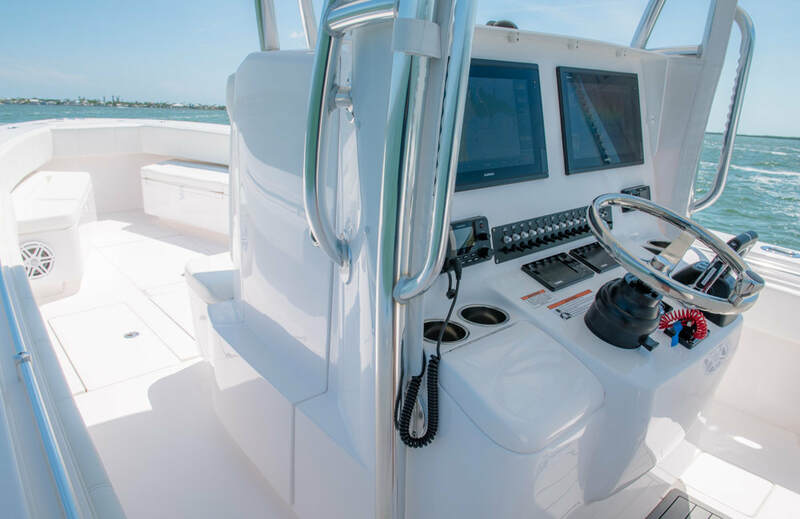 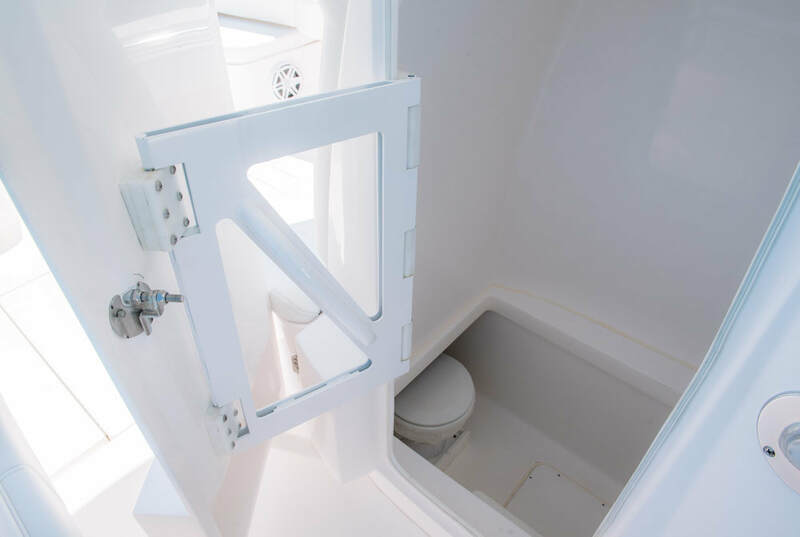 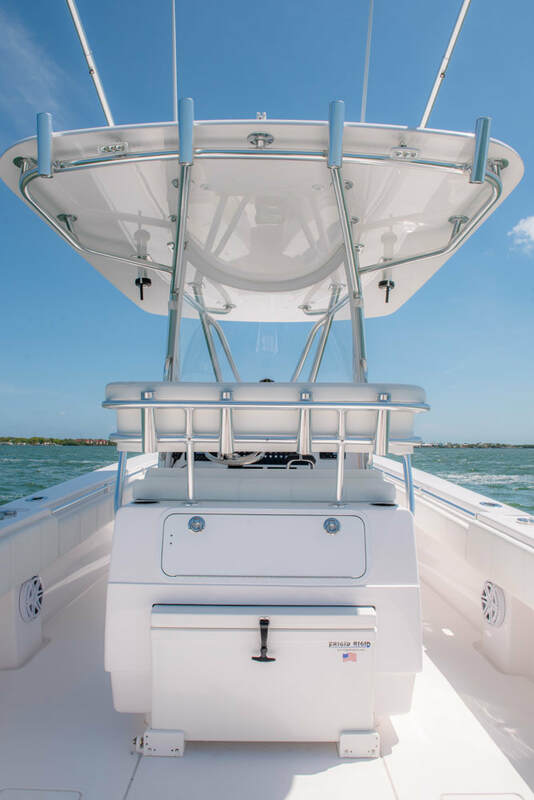 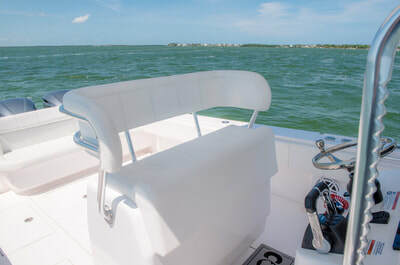 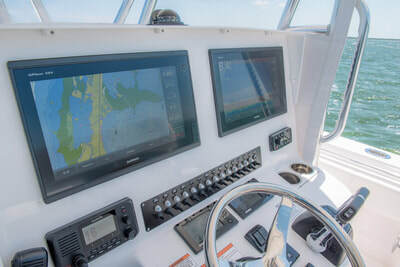 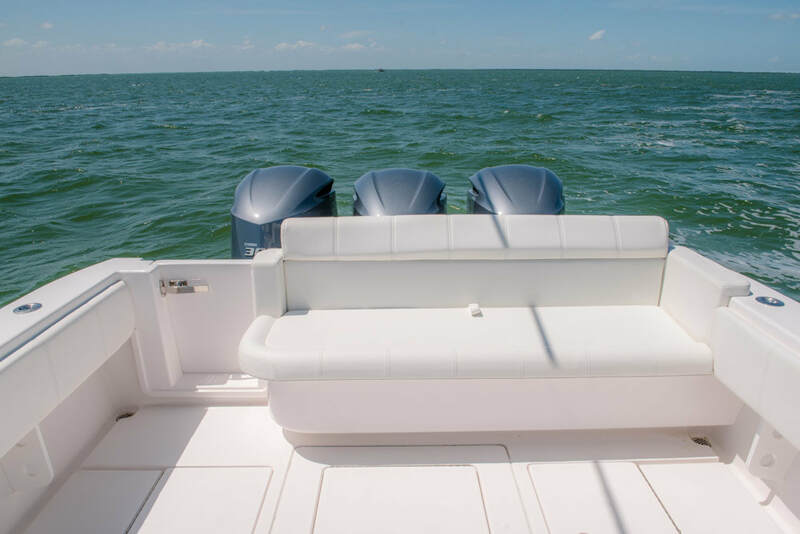 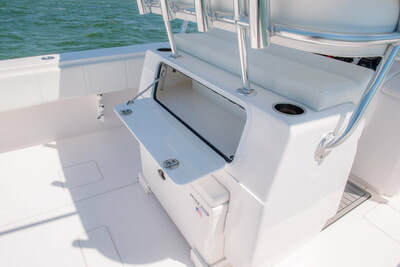 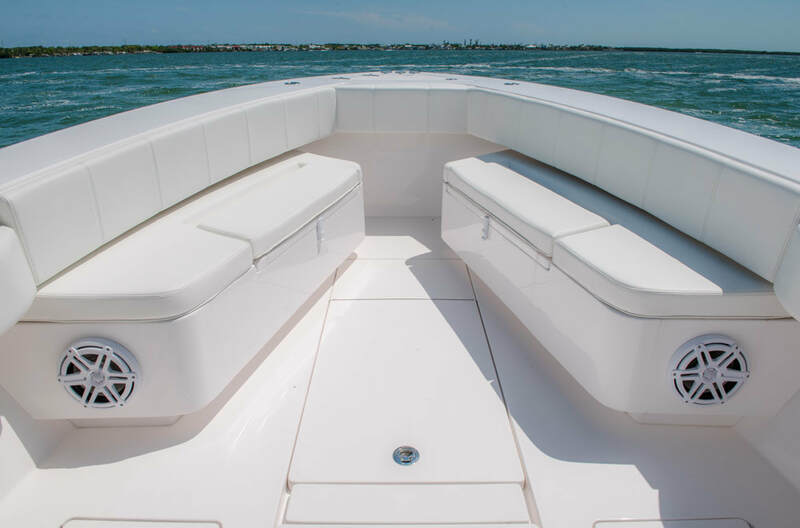 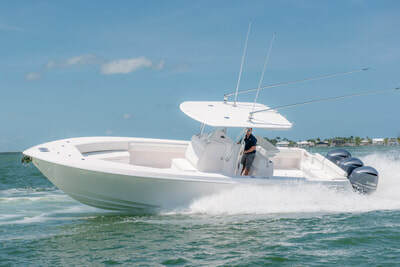 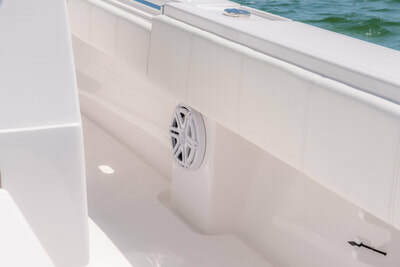 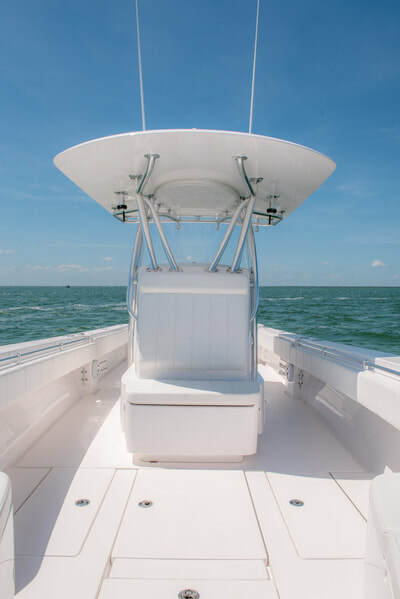 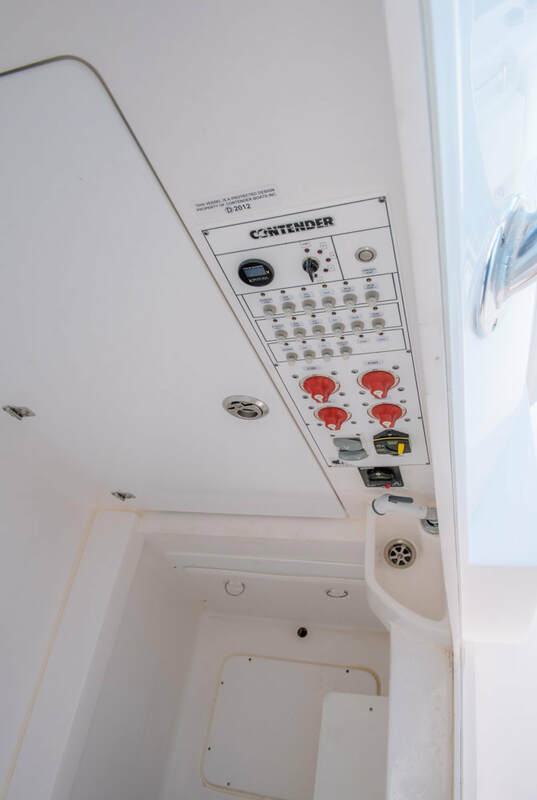 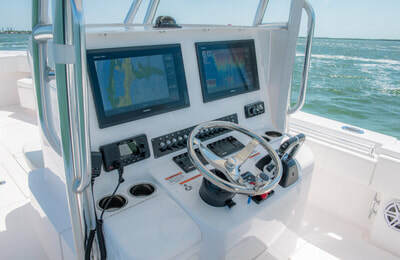 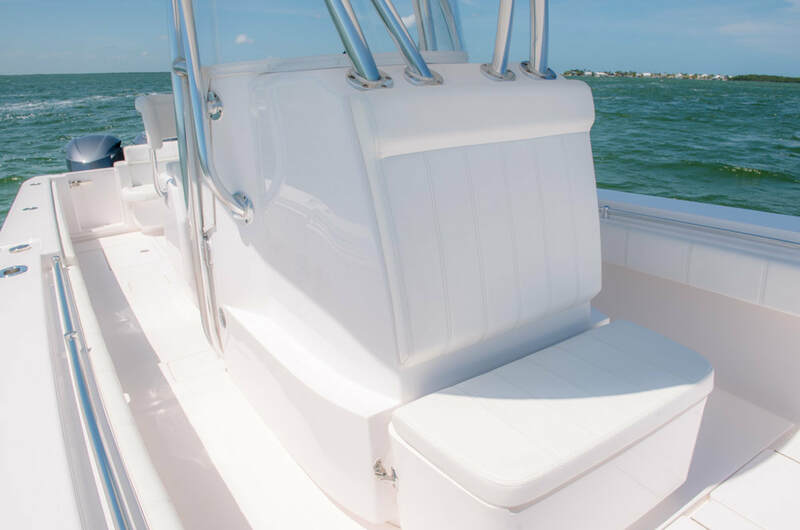 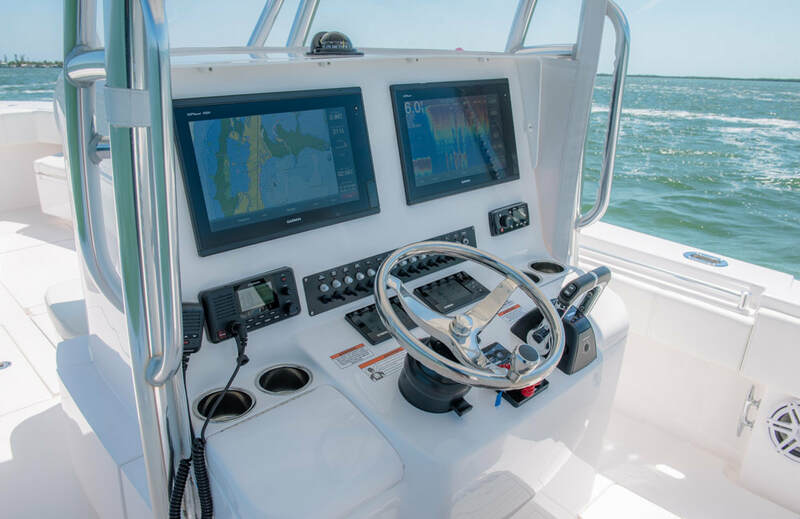 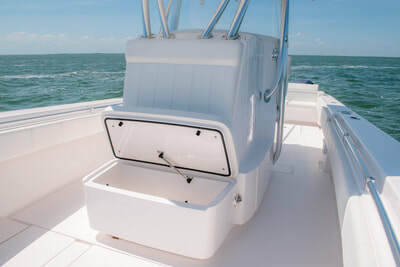 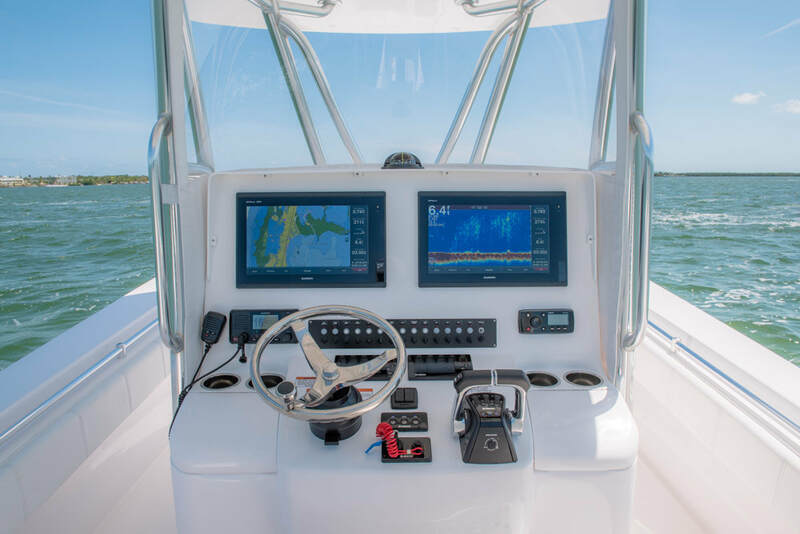 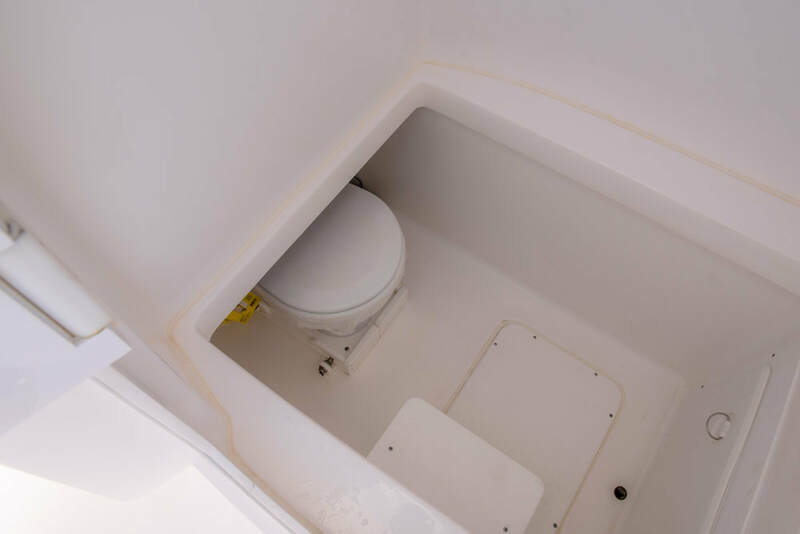 The latest upgraded console which has the swept back round polycarbonate windshield, built in glove boxes which gives a place to install your USB and 12 volt outlets, the new larger entry door to the head, and the removable front insulated cooler seat. 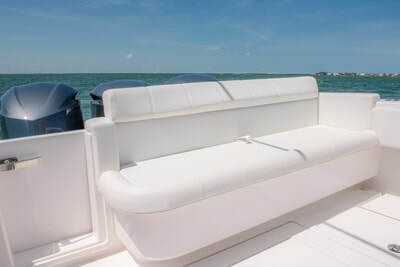 Custom Molded in Fiberglass Baquette Rear Seat by far the most comfortable transom seat and largest cockpit in a 35ST. 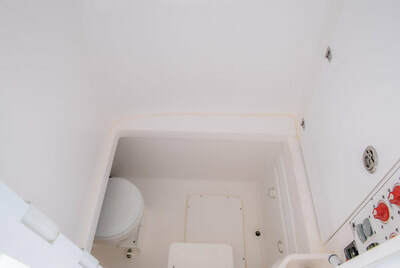 Forward Seating Bench Style which allows you to walk up to bow and still fish. 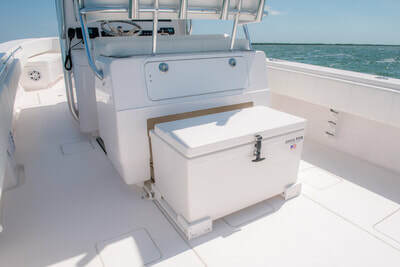 Adds additional seating and storage! 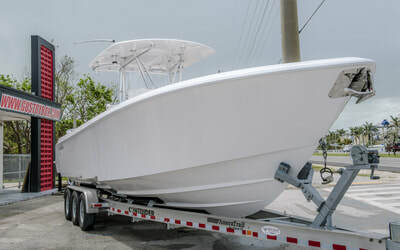 Upgraded all hatches for stainless steel gas shocks.